You are at:Home»iPhone»Tips»How To Copy And Paste On An iPhone: Everything You Need To Know! You want to copy and paste a long text message or quickly share a website address with a friend, but you’re not sure how. Copy and paste is one of the most popular and helpful shortcuts on any computer, but many people don’t know how to do it on an iPhone. 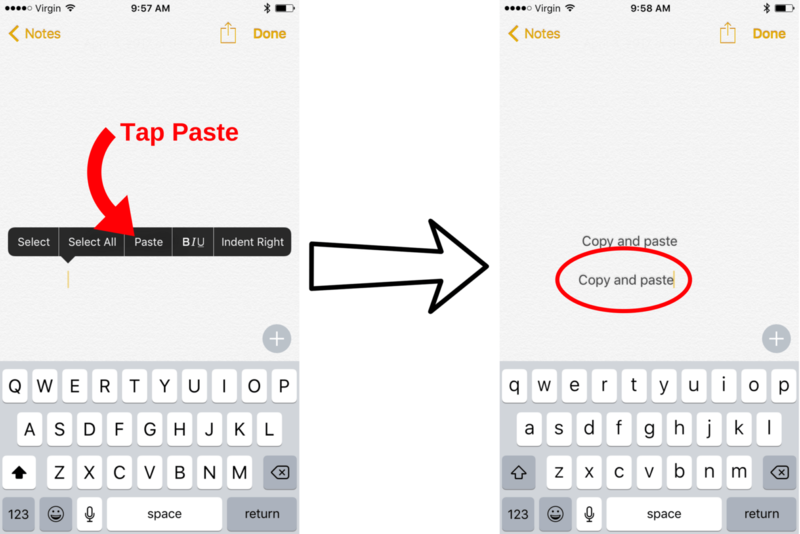 This article will show you how to copy and paste on an iPhone so you can save time when typing! What Can I Copy And Paste On An iPhone? You can copy text, website addresses (URLs), text messages you receive in the Messages app, and much more on an iPhone. Whatever you decide to copy can be pasted in any app where the iPhone keyboard is used, such as the Messages app, Notes app, and your favorite social media apps. We’ll show you how to copy and paste text, URLs, and text messages so you can become an expert! Before you can copy anything on an iPhone, first you need to select it. In other words, you need to tell your iPhone, “This is the text I want to copy.” Some people say highlighting text instead of selecting, but since select is the “proper” term, that’s what we’ll use in this article. To copy text, double-tap on one of the words you want to copy and paste. This will select that word and a small menu will appear with options for Cut, Copy, Paste, and more. If you want to highlight more than just one word, drag the little circle at either end of the highlighted text. Once you have selected the text you want to copy, tap Copy. 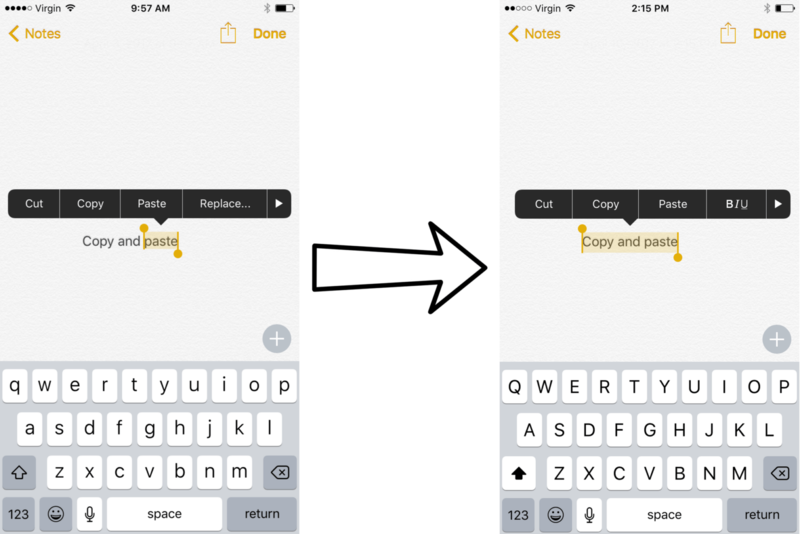 When you’re ready to paste, tap inside the text box where you want to paste the copied text (I’ll use the Notes app to demonstrate). When you tap the text field, you’ll see the option to Paste and possibly more depending on the app you’re using. 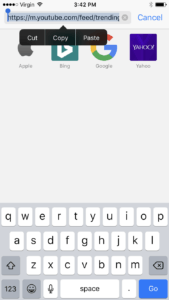 Tap Paste, and the text you copied will appear in the text field. Tip: It can be helpful to move your cursor to where you want to paste the text before you try to paste it. THe process is this: Move the cursor to where you want it, tap on the cursor, and then tap Paste. How Do I Move The Cursor On My iPhone? To move the cursor on an iPhone, use your finger to press and hold on the screen, right around where you would like the cursor to go. A small magnifying tool will appear that makes it easy for you to drag the cursor where you want it. When it’s in the right place, let go. Website addresses are usually long and can be difficult to remember, so knowing how to copy and paste the URL will save you a lot of time when you want to share a website with a friend or family member. To copy and paste a URL on your iPhone, begin by opening the Safari app or your preferred web browser app. In the URL box at the top of your iPhone’s display, tap the website address to highlight it. Then, tap it again to bring up the option to Cut, Copy, or Paste and tap Copy. 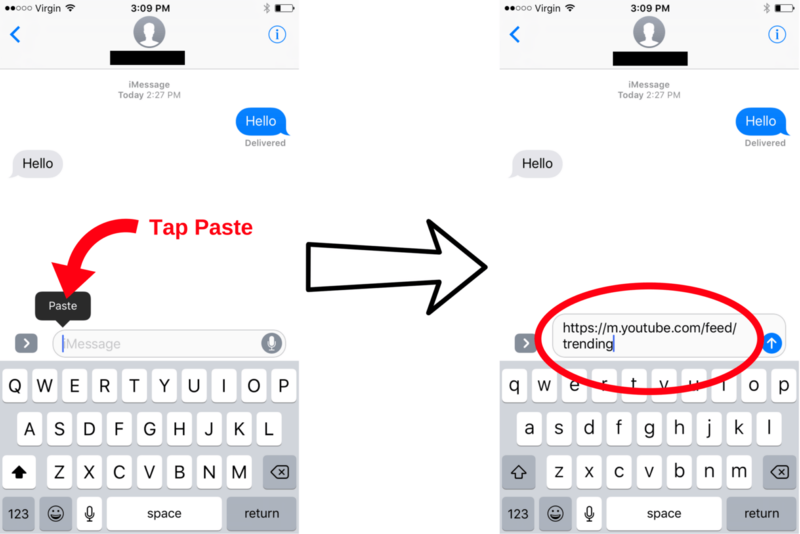 When you’re ready to paste, tap the text field where you want to paste the URL (I’ll use the Messages app to demonstrate). Tap Paste when the option appears on your screen to paste the URL. With iOS 10, you can also copy iMessages and text messages you receive in the Messages app. First, press and hold the message you would like to copy. 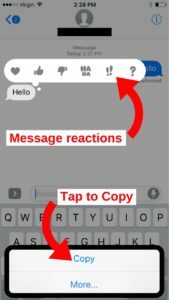 After a second or two, a list of message reactions (a new iOS 10 feature) as well as the option to copy the message will appear on the screen of your iPhone. To copy the iMessage or text message, tap Copy. To paste the message you copied, tap a text field. Tap Paste when the option pop-ups on the screen of your iPhone. You’re A Copy And Paste Expert! 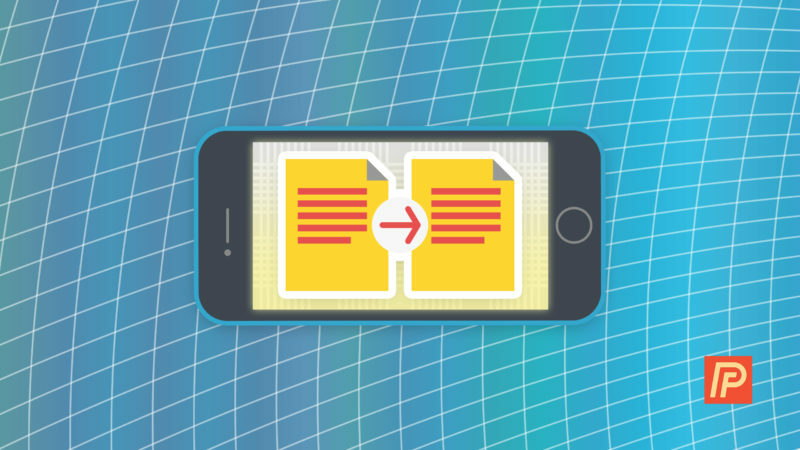 You’re officially an expert at copying and pasting on your iPhone! Make sure to share this article on social media with your friends and family to they can learn how to copy and paste on an iPhone! Thanks for reading this article, and feel free to leave us a comment down below if you have any other questions about typing on your iPhone. Previous ArticleHow Do I Change Flashlight Brightness On iPhone? The Easy Way!